1. All children are born musical. It is one of their multiple intelligences. Therefore, we believe that they have a right to maximise their innate ability and need music education early to lay the foundation for music appreciation and participation throughout their lives. Musicality needs to be nurtured before the age of one because babies begin to ‘prune out’ their highly-stocked neuronal system at that age. and if their musical impulses are not encouraged by their loved ones those opportunities will be lost. Particularly through the focus on deep listening and concentration on a task – it maximises the potential for each child to succeed in future learning by setting up enhanced neural networks. This is crucial in the first group – the family. Shared experience of music releases oxytocin in the brain – the chemical found when groups feel a sense of togetherness. Along with the social confidence and emotional security available within groups come opportunities for effective communication in language, mathematics and other literacies. Joy is experienced along with the release of the ‘feel good’ chemicals, serotonin and dopamine. This enhances emotional development and allows cognition to flow by removing stressors. 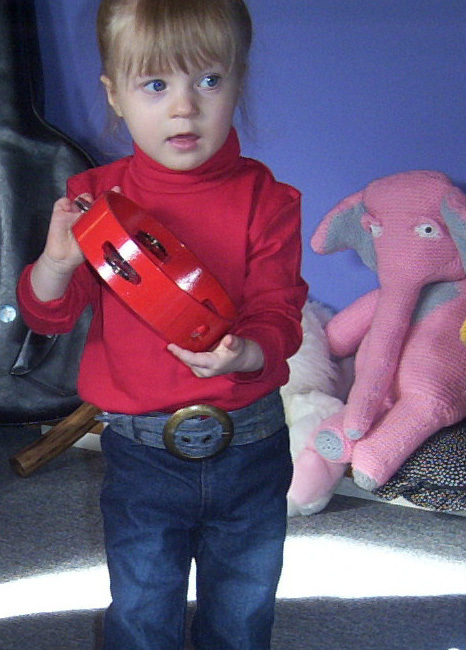 Musical play – activity through experimentation with sound sources, improvisation, movement, drama and song – opens the mind flow of the child and sets up a habit of mind or disposition towards repeated musical experiences. The first of these is in language through song, the other is in music itself both historically and across cultures. These cultural artefacts are part of the child’s rightful heritage and become indestructible toys for the mind. They underpin creativity by providing a widely-stocked storehouse of knowledge – examples of language(s) and music(s) – necessary to create something new, either to the individual or to the world. Both bodies of literature are information that should be made available to the child. The Musical Rights of the Child, International Music Council, in official partnership with UNESCO. Prof Sandra Trehub, Infant and Child Studies, University of Toronto, Missisauga, Canada. Laurel Trainor, Auditory Development Lab, McMaster University, Ontario, Canada. Howard Gardner, Harvard Graduate School of Education, U.S.
Richard Gill Conductor, Sydney Symphony Orchestra, Australia. Glen Schellenberg, University of Toronto, Missisauga, Canada. Anita Collins, University of Canberra, Australia. Daniel Leviti, Laboratory for Music Cognition, Perception and Expertise, McGill University in Montreal, Canada. Reggio Emilia Approach, Carolyn P. Edwards, Lella Gandini, George E. Forman, Italy and U.S..
Margaret Boden, Department of Informatics, University of Sussex, U.K.
Jerome Bruner. New York University School of Law, U.S. Early learning through music – more information. . .